Don Stinnett has been promoted to Group Director, Global Supply Chain and Strategic Sourcing and will report directly to Michael R. Dill, CIRCOR Aerospace Group Vice President. He will have full responsibility for implementing a robust supply chain structure, process and strategy. Don will now be a key member of the senior leadership team. He will drive the strategic supply chain, achieve profitable growth and market share, develop new supply chain competencies, and build a sustainable, leadership position in strategic growth markets. In Stinnett's career, he has spent over 20 years with Saint-Gobain Performance Plastics Corporation and Interface Technology where he held a variety of General Manager and Materials Management positions. He is a Lean / six sigma champion and has implemented many operational improvement programs. Stinnett was the Director of Materials for CIRCOR Aerospace's Southern California operations and has made many notable improvements in supply chain processes. 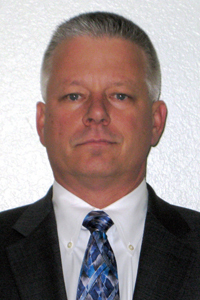 "We are excited to have Don on the CIRCOR Aerospace Products Group senior leadership team. He is dedicated to his materials and purchasing teams, as well as to continuously improving CIRCOR's growth path in supply chain and sourcing," noted Group Vice President Michael Dill. He holds a Masters of Business Administration degree and a Bachelors of Science Business Administration degree, both from the University of La Verne in La Verne, California.